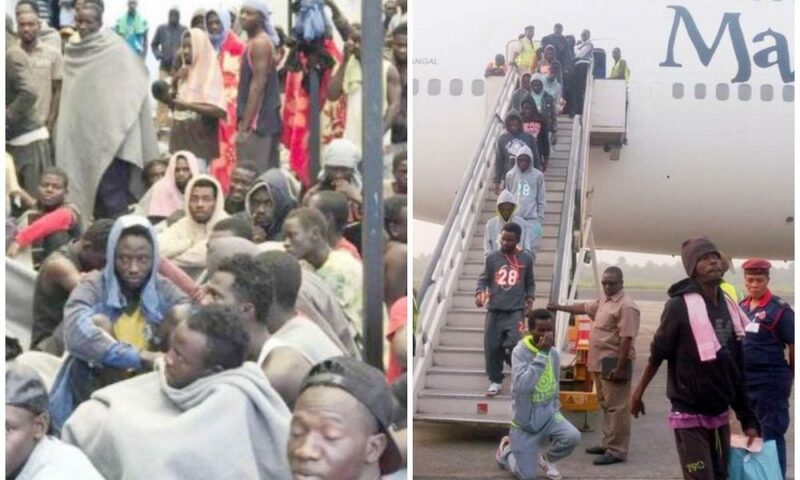 Nigerian High Commissioner to Ghana, Ambassador Michael Olufemi Abikoye has cautioned Ghana Immigration Service (GIS) against alleged torture and inhuman treatment of Nigerians in the country. He made the appeal while expressing concern over incessant arrest and deportation of Nigerians living in Ghana. Abikoye who met with the Comptroller-General of Ghana Immigration Service, Kwame Asuah Takyi and top officials of GIS, expressed disdain on acts of criminality involving Nigerians in Ghana stressing that the High Commission has been working hard to curb the menace. He presented to the CG a copy of the Mission’s records on deportations from January 2018 till date. The document shows that between the period, 723 Nigerians were deported many on alleged illegal stay, cybercrime and prostitution. For instance, in January 2019, 81 Nigerians were deported on alleged cybercrime and illegal stay while 115 have so far been deported this month on allegation of overstay and prostitution. Explaining further that Nigerians are not being fairly treated, Abikoye said there have been reported cases of molestation, harassment and torture of Nigerians by GIS officials, especially those awaiting deportation at the GIS detention facility. He backed his accusation with photos of some Nigerians who sustained injuries on their legs, arms and eyes in the process of the torture on them. He was emphatic when he said the inhuman act was against the United Nations Convention against Torture. He appealed to the CG to prevail on his officials to treat Nigerians and other ECOWAS nationals with human face, caution and not as common criminals. Abikoye also expressed his displeasure on the long detention of Nigerians in the GIS custody after proper documentation and issuance of Emergency Travel Certificate for their reparation by the High Commission and appealed that considering the poor state of the GIS’s facility, the Ghana Immigration Service should expedite action in their early reparation to Nigeria immediately after the issuance of Emergency Travel Certificates. Kwame revealed that “this unruly behavior” which contravenes the local laws in Ghana has led to directive from higher authority for their arrests and eventual deportation of those who do not have the requisite immigration papers. While promising to investigate alleged torture of some Nigerians, the immigration boss showed the Ambassador a video of some nationals of Nigeria obstructing justice by preventing the officials’ vehicle of the GIS the right of way after arresting a Nigerian in Kasoa area in Central Region. With the incessant deportation of Nigerians and alleged inhuman treatment of some of them, there is the urgent need for Nigerian Government to hasten on earlier proposal to fix a date for hosting of the Ghana/Nigeria Permanent Joint Commission meeting to discuss bilateral issues including immigration –related challenge for amiable resolution.